It is one thing to be a strong leader, which Kansas Gov. Sam Brownback seemed to exhibit during his State of the State Address earlier this month. It’s quite another, though, to show signs of being a dictator, of which Brownback may guilty as a result of a closed-door “legislative dinner” on Jan. 9. Ultra-conservatives are so worried about too many regulations, too many government controls and making sure the rich and big corporations don’t have to pay too much in taxes in the guise of job creation. Liberals are losing sleep because there’s not enough money to pay for all the government-funded programs and environmental issues that they thrive upon. National debt? What debt?! I’m getting anxious…antsy anxious…cabin fever kind of anxious for the first weekend in February to get here. My son Justin and I are planning to head to Bennett Spring, Mo., for our first trout fishing jaunt of 2012. I’m so anxious, I went out and bought a new fishing pole and reel and that makes me overly anxious to get to Bennett and put a line in the water. I heard the president’s speech Tuesday night, Jan. 24. I listened to the Republican response by Indiana Gov. Mitch Daniels. I watched the YouTube response from 3rd District Congressman Kevin Yoder, R-Overland Park. I listened to many of the “expert” commentators and pundits. It’s a good bet that HB2330 will go up in smoke because it’s the kind of smoke the majority of elected officials don’t want to see throughout the state — especially the Republican leadership and Kansas Gov. Sam Brownback (it wouldn’t look good on a presidential resume). House Bill 2330 would make Kansas the 17th state to legalize the growing, selling and prescription use of medical marijuana. Supporters, which include many physicians armed with results of medical studies and statistical data, claim Kansans would benefit greatly from legalizing marijuana for medical reasons; that it not only is more effective in treating various symptoms of chronic pain and stress, but it also is more safe and considerably cheaper than most typically prescribed pharmaceutical drugs that can cause severe, and sometimes fatal, side affects. 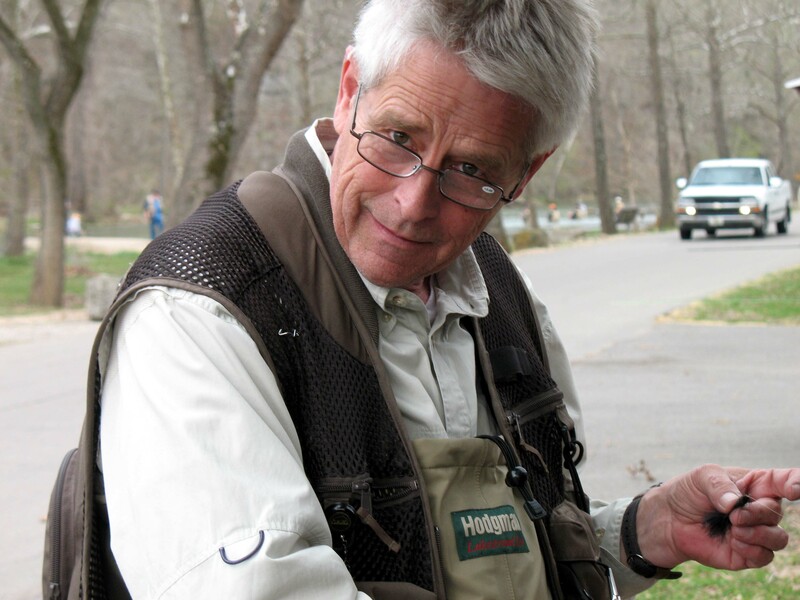 When not conducting city, state, or personal business, Bob Montgomery often can be found trout fishing at Bennett Spring, Mo. Bob Montgomery is a true Olathean in every sense of the word. Not just because he grew up in this community when it was nothing more than a small, rural town with a couple of grain elevators and a thriving downtown where farmers and their families would come to town at least once a week to shop, but because he truly cares about Olathe and the people who live here. After taking office last year, Kansas Gov. Sam Brownback created the Office of the Repealer. It’s within the Kansas Department of Administration. And today, Jan. 20, under the watchful eye of Administration secretary Dennis Taylor, the governor proudly released a list of 51 regulations, laws and executive orders the Repealer Czar is recommending for repeal. Pardon me while I sit back, rub my eyes and scratch my forehead. It’s not that I don’t agree stupid and outdated laws should be retired. My concern is the cost effectiveness of creating this Repealer office. How much is it costing Kansas taxpayers to have someone research the books to find these ridiculous laws. And in 150 years of Kansas’ statehood, the Repealer Czar only could come up with 51 laws targeted to be repealed?